Step One is to wait and watch; you won't know what you have for plants until after a full gardening season has gone by. The question is: What should be done with this overgrown, if not abandoned, garden? This garden is totally new to you. No readers of this column would ever let their garden get into such a state of neglect, I would like to believe. Maybe it is a garden at a recently purchased house, seasonal cottage or camp. Maybe it is a garden at a friend’s house, and they are seeking advice. The first step is probably the hardest: wait and watch. Although the plot is an eyesore, you won’t know what you have for plants until after you’ve kept your eye on it for a full gardening season. 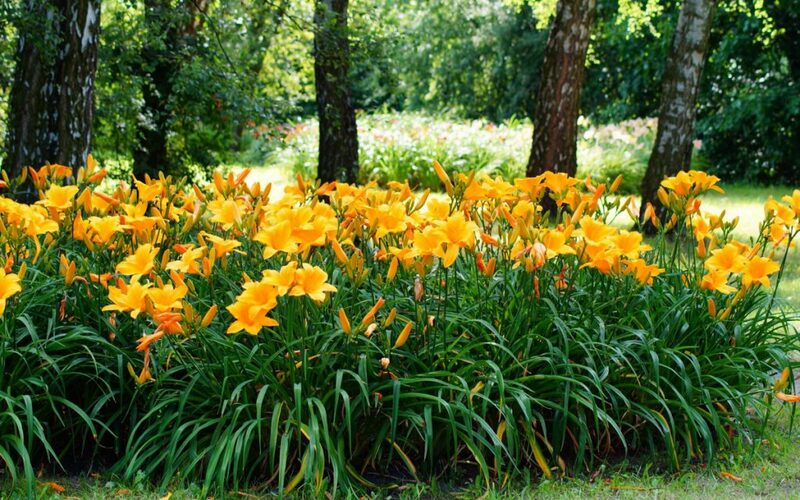 If you are just seeing the garden in late June, say, you may not be able to tell that some gorgeous daffodils bloomed there in April and early May, and perhaps crocuses even earlier. Unless you are an experienced gardener with a good eye and a good memory, you may not realize that the 1-foot-tall plants with lacy foliage are New England aster, which has bright bluish-purple flowers in September, benefiting pollinators at a time when not much else is in bloom. If you are patient and wait a year, don’t think you’ll remember what is in bloom and where, however. You won’t. In ancient times, before every cellphone had a camera, I would have recommended plotting the garden on paper, noting down what blooms when. Now, I recommend simply snapping a photo every time you see something new in bloom. Take closeups, so you can see what the flowers look like, but also shots of the entire garden, so when you actually begin to revive the space you know where the perennial is located. The foliage of the invasive plants you pull can go into your own compost, but the roots and any seeds should go to your municipal compost. The seeds will sprout and the roots will produce new plants, creating more of the enemy you are trying to eliminate. If in doubt, send it all to the dump. Next, remove simple weeds, like dandelions and jewelweed, which you can get rid of without much more than a trowel. (Yes, jewelweed is on Maine’s invasive species list, but to my mind it is just a nuisance more than inherently evil.) In addition, prune any out-of-control shrubs, and forsythia flops should be thinned out and cut back, if not removed. Lilacs often get long, naked stems, and they can be cut. Treat other shrubs in like manner. Renovating an abandoned garden is physical labor. If most of your gardening is routine planting, weeding and picking, be forewarned: This project will leave your body aching. Regular readers know that the first thing I’m going to tell you to do is to is figure out the perimeter of what will be the garden and create an edge, using a sharp semicircular steel edger. This is a non-power tool that you step on, slicing through sod or whatever else is growing, about four inches deep all around the garden. Once that is done, dig out almost everything in the garden. You won’t dig out the trees and shrubs because that’s too much work, and it will set the plants back so much that they might not recover. Some larger herbaceous perennials can also stay, if you like where they are located. Dig out almost everything else. The plants you don’t want, you can put in your compost bins or take to the town composting facility and let them deal with it. You dig up the small plants you want to keep because in most cases, their roots have become intertwined with the roots of weeds. It is easier to disentangle them out once the plant is out of the ground. In addition, the good garden plants that have survived years of neglect have probably grown huge. You will need to divide them and replant them in different locations around the garden. I like doing such digging with a spading fork, switching to an actual spade on especially stubborn plants. Nancy, my wife and the better gardener, can do almost all of this with a trowel, but she calls me over with the spading fork for the tough stuff. Once you’ve completed these tasks, you have disassembled this once-abandoned garden. Next week, I’ll tell you how to put it back together again.